As I spend the last day of 2017 on the couch blogging and watching New Year's Eve on TV (it's becoming a tradition to watch this film every New Years Eve) I take a look back at the best films of 2017! 2017 was most definitely the year of big budget sequels! 7 of the top grossing films of the year were sequels, from some of the most popular movie franchises including Fast & Furious, Star Wars, Pirates of the Caribbean, Thor, Guardians of the Galaxy and Spider-Man. Atomic Blonde, Wonder Woman, La La Land, Beauty & The Beast, A Bad Moms Christmas, Geostorm, Cars 3, Despicable Me 3, Spiderman: Homecoming, 9/11, Thank you for your service and Moana. 2018 films I can't wait to watch! Pitch Perfect 3, Jurassic World: Fallen Kingdom, Ocean's 8, Mamma Mia! Here We Go Again and Bumble Bee. 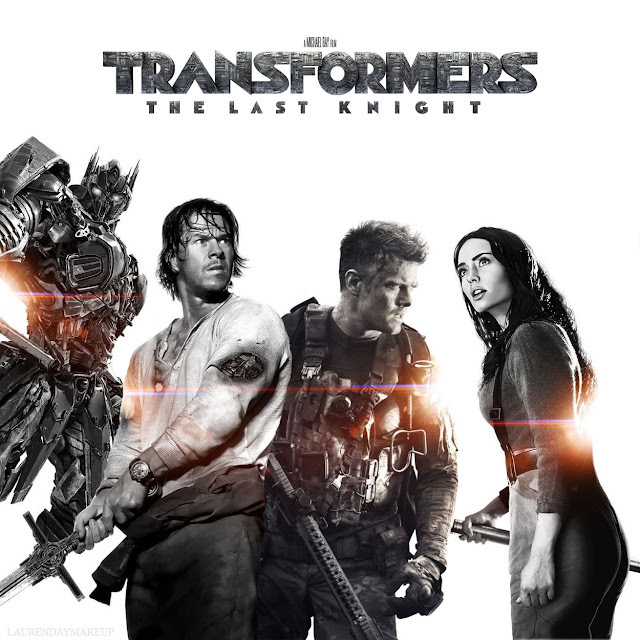 Looks like it's going to be another great year for sequels! Colourpop cosmetics collaborated with the official My Little Pony brand to bring you a limited edition My Little Pony collection inspired by the retro ponies, their colourful personalities and magical cutie marks. 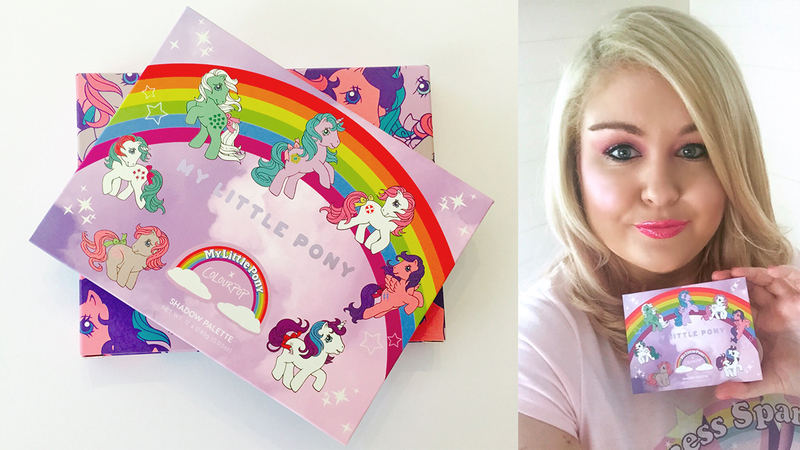 The hero product of the My Little Pony x Colourpop collection is the My Little Pony Pressed Eyeshadow Palette. 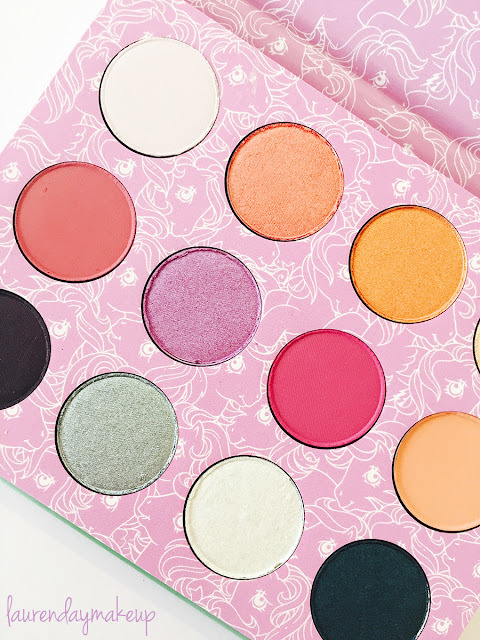 This adorable collector's palette features 12 eyeshadows including shimmery glitters, wearable mattes and surprising iridescent shades. The palette features 7 retro ponies from the sparkle crew and of course a My Little Pony rainbow! Plus the ponies and the word my little pony have a foiled finish so the front of the palette literally sparkles! So magical! My favourite shades are Sky dancer, Minty, Bluebell and Firefly. Get that glow with Colourpop's silky soft, super blendable, high shine powder highlighter. Trickle is a lavender with pink opal duo chrome flip. This is a very pretty pink highlighter with an opalescent finish that gives a magical glow to your cheeks! Read more: Colourpop x My Little Pony Ultra Glossy Lips blog post. 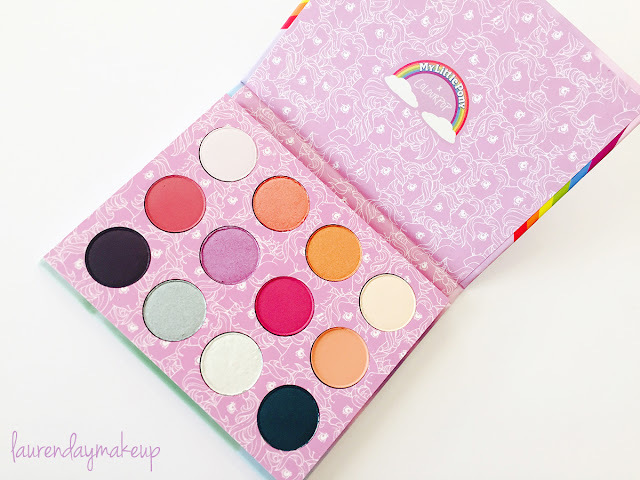 Colouropop Cosmetics, a cruelty-free beauty brand from LA collaborated with Hasbro's official My Little Pony brand for a fun, cute and retro makeup collection to celebrate the release My Little Pony movie! I just adore My Little Pony! 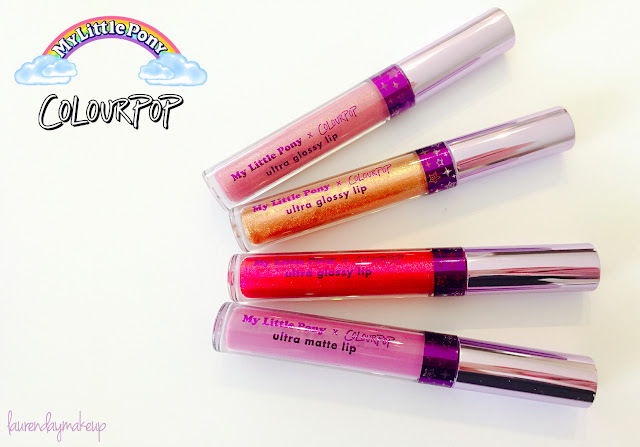 ...So of course, I had to pick up some of the items from the Colourpop x My Little Pony collection! 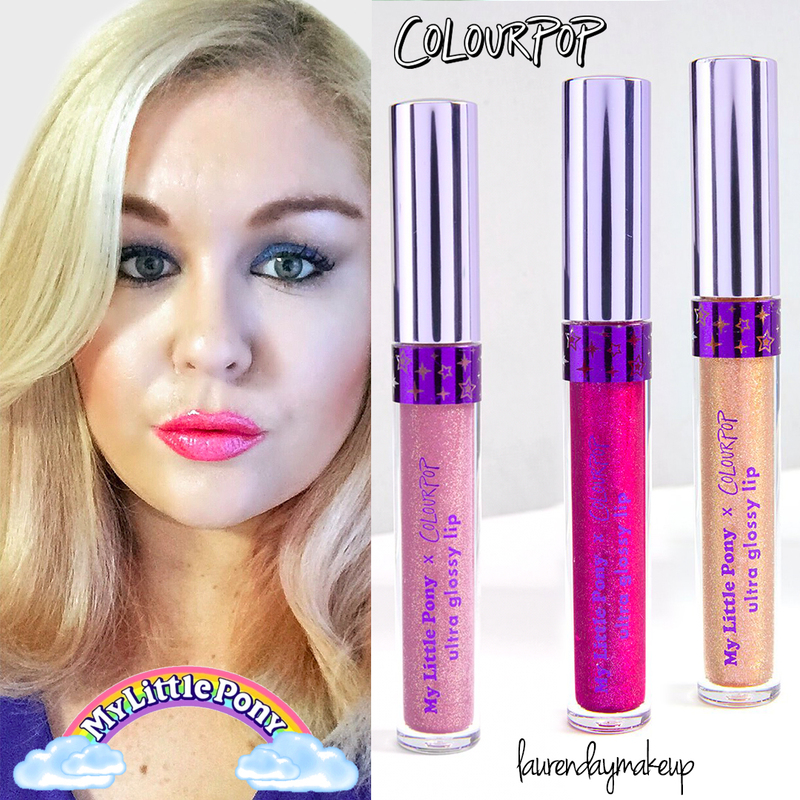 This lip gloss review features Dream Castle, Ponyland and Flutter Valley! Colourpop's Ultra Glossy Lip Colours are so glossy. So shimmery, metallic, glossy. Very long wearing on the lips. Extremely well priced. Beautiful packing, gorgeous pigmented shades and vibrant colours with high shine reflects of glitter! They are perfect! Colourpop Cosmetics says, "High shine gloss with full-coverage, metallic pearl finish in a moisturising and non-sticky, comfortable formula." 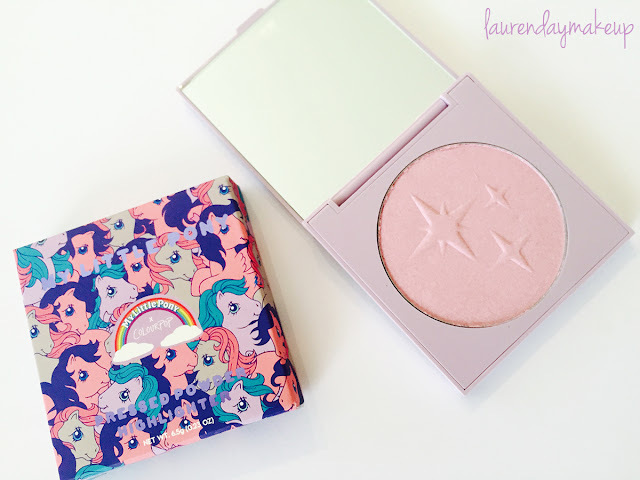 Ponyland is a lilac slightly sprinkled with pink and gold glitter. This shade is super pretty! Dream Castle is a metallic fuchsia with blue, violet and gold glitter on top. This is my favourite shade. Flutter Valley is a golden undertone with tons of hot pink and gold glitter. This shade is the most sheer and the most versatile. I hope you enjoyed my review of the 3 Colourpop Ultra Glossy Lip shades from My Little Pony makeup collection! 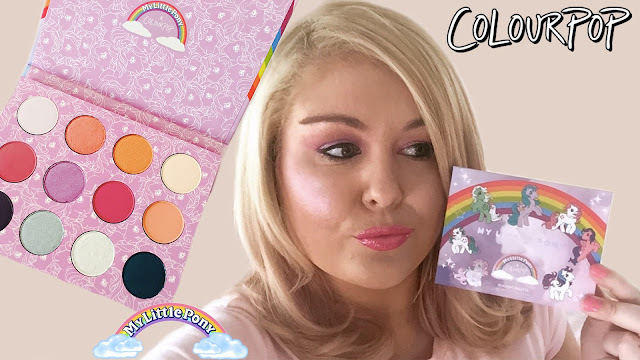 In my next blog post and video I feature the Colourpop My Little Pony Eyeshadow Palette - be sure to Subscribe to my Youtube Channel for this video! 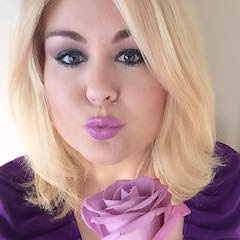 Watch my Ultra Glossy Lips video for more information and to see the colours swatched on my hand and on my lips!